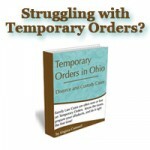 This is the 15th installment in a series by a Ohio Interstate Divorce and Custody Attorney about the process and options for ending your marriage in Ohio, and about Ohio divorce laws. This article discusses interstate child custody jurisdiction. Interstate child support and enforcement will be discussed in another article. You can view other articles in the Divorce in Ohio series by clicking any of the links at the end of the article. In the previous article we discussed personal jurisdiction, and how you need it if you want someone to pay money. Subject matter jurisdiction is different. It can never be waived. It is one of the ONLY issues that can be raised on appeal for the first time. Why is it so important to divorce and custody cases? Because one state, and one state only, has subject matter jurisdiction to make child custody orders under the UCCJEA. Either a state has it, or it does not, and clever little tricks like trying to file court papers first or serve someone while they are in a state will NOT give a state subject matter jurisdiction. It is one of the few areas in Ohio Family Law where the Trial Court does NOT have broad discretion, and the law is clear. The Court of Appeals will actually get involved to stop a trial court from exercising subject matter jurisdiction improperly. Why is child custody so different? Because there is a federal law about child custody. For the most part, the federal government leaves custody issues to the state, and only steps in on matters which effect the nation as a whole. There is a federal law called the Parental Kidnapping Prevention Act that was designed to keep parents from taking the children from their home, moving to another state that they would like to live in and filing court papers in the new state to obtain jurisdiction. The Parental Kidnapping Prevention Act (PKPA) gives clear instructions regarding which state has jurisdiction over child custody matters. The PKPA says that ONLY courts with proper jurisdiction under the PKPA can make orders regarding custody that have to be obeyed outside of that state. In legalese, only states that have jurisdiction under the PKPA can make custody orders which are entitled to “full faith and credit” in all other states. 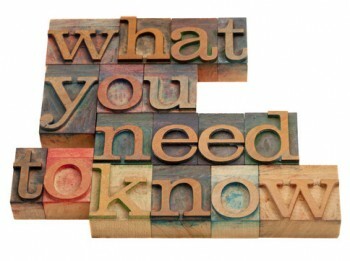 3) any state can exercise emergency jurisdiction, but that emergency jurisdiction only lasts as long as the emergency, and then the State with continuing exclusive jurisdiction (if a custody order already exists from that state) or home state jurisdiction (if no custody order is made yet in the home state) will assume jurisdiction. Emergency jurisdiction is temporary, and dragging out the court proceedings over the alleged emergency for six months or more won’t change anything. filing “emergency jurisdiction” motions and then hoping that keeping the case in court six months will keep jurisdiction in the wrong state (if a custody or divorce/custody or similar case has been filed the Child’s home state, the case WILL end up back in that home state. filing a case citing the “general jurisdiction” of the Juvenile Court over a child “who is not a ward of another court of this state”. Read the statute closely – that statute presumes that Ohio already has subject matter jurisdiction over custody under the UCCJEA. In addition, Ohio Revised Code 3127.15(B) clearly and unequivocally states: Division (A) of this section is the exclusive jurisdictional basis for making a child custody determination by a court of this state.